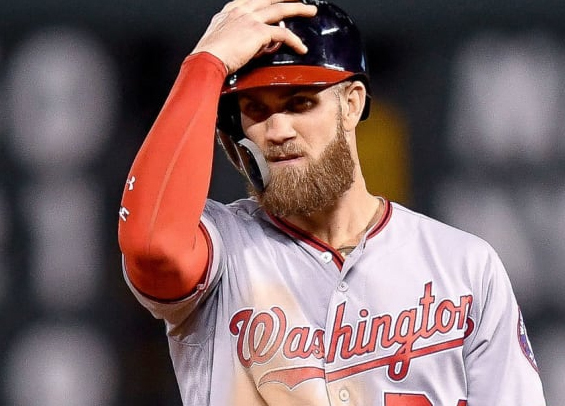 According to multiple reports, the Phillies had a productive meeting with Bryce Harper and his agent this past weekend in his hometown of Las Vegas. The meeting, which included Phillies owner John Middleton, general manager Matt Klentak, assistant general manager Ned Rice, team president Andy MacPhail, manager Gabe Kapler, and Harper's agent Scott Boras, lasted close to five hours according to USA Today's Bob Nightengale. The Phillies remain a favorite to land the six-time All-Star. The White Sox are in the running, but appear to be more interested in landing Manny Machado. The Nationals were believed to be in the running this past week, but with the signing of Brian Dozier their payroll for 2019 now exceeds $200 million and it's unlikely they are willing to push any closer to the luxury tax threshold. That leaves the Phillies and this 5-hour meeting. At this point, the Phillies have made their pitch to both Harper and Machado. Now, it's only a matter of time before each superstar decides where they want to be in 2019.